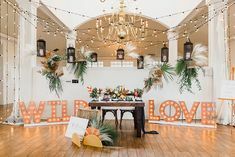 Michelle Garibay, owner of Michelle Garibay Events, by all means pulled off an installation that ruled the roost—er, venue—at our Engaged event this month at Carmel Mountain Ranch Estate. 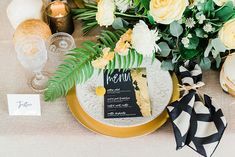 She and her creative team followed the two rules provided to them—incorporate marigold and attempt to style a wedding that’s edgy and chic—but added a few bold twists along the way. 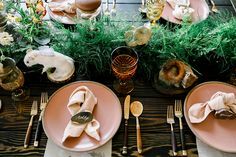 Here, she shares the must-have elements to replicate the result, the most challenging facets of doing it herself, plus her favorite parts of the day. Cheers! What were some of the details you had to incorporate to bring this installation to life? We were given a color, marigold, and design description, edgy chic, that we did our best to stay true to. 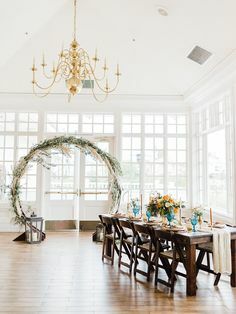 The biggest challenge was doing a modern, minimalist, edgy look at a venue with a complete opposite aesthetic! Is it fair to give a shoutout to the champagne truck? It was the hit of the event! I love the style! I wish I would have the same array of colours as this one. Does anybody know any birmingham photographers wedding service? I’m looking for one.